Jared Leto attended the 2014 MTV Movie Awards at Nokia Theatre L.A. Live on 13 April 2014 in Los Angeles, California. 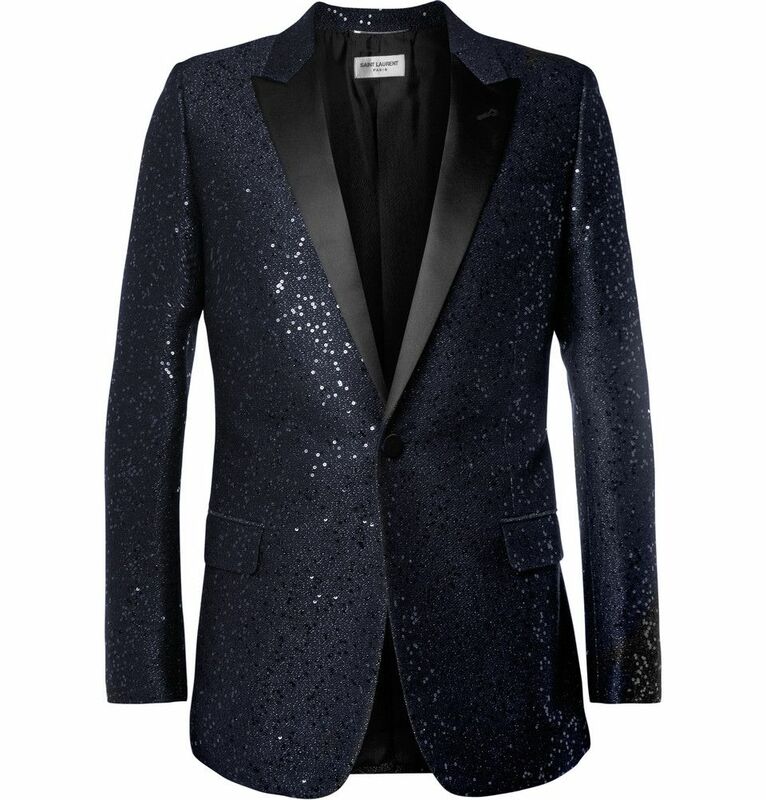 Jared Leto, the winner of the Best On-Screen Transformation award for 'Dallas Buyers Club', wore a sequinned wool blazer from Saint Laurent by Hedi Slimane. 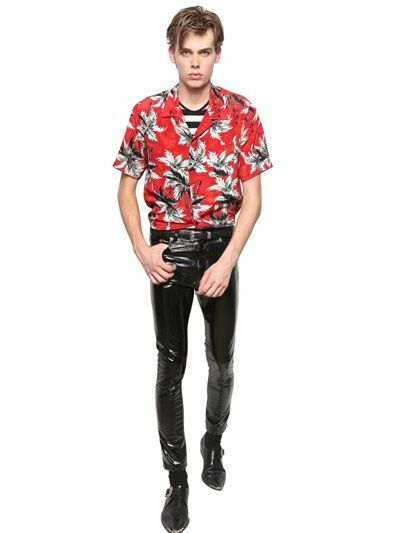 He wore the blazer over a black and white floral print shirt also from Saint Laurent by Hedi Slimane. Interesting to see the pairing of a sequinned blazer with a casual Hawaiian summer shirt, but Jared Leto kind of made it work in the monotone colour scheme. Great fun attire for the MTV Movie Awards, Jared Leto looked gorgeous as usual. 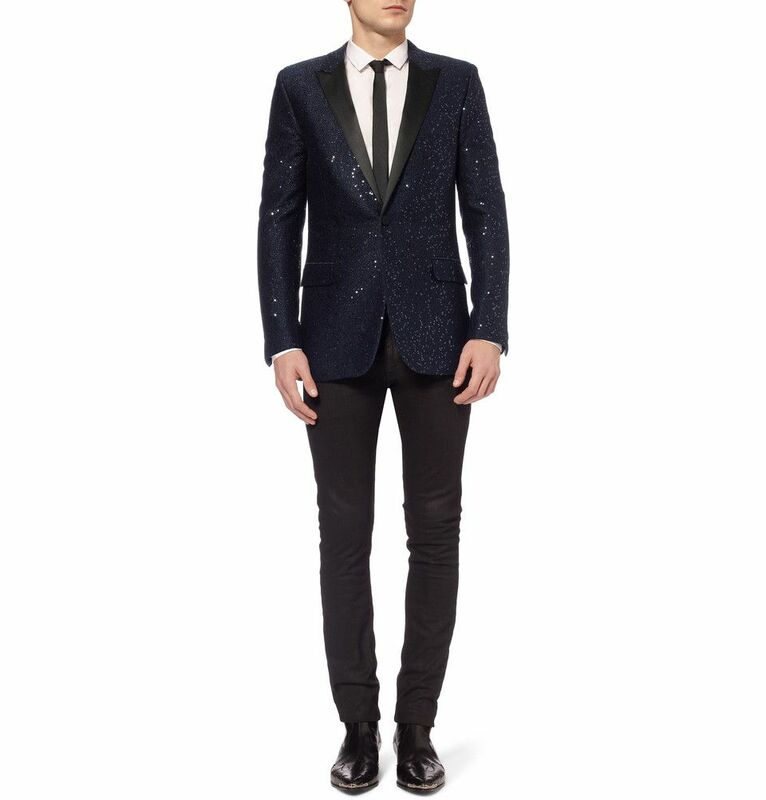 You can shop the Saint Laurent sequinned wool blazer online from Mr Porter (US) and Mr Porter International. Not sure what was happening with the straw hat, but off came the sequinned blazer and it all felt very hipster Coachella-ish. 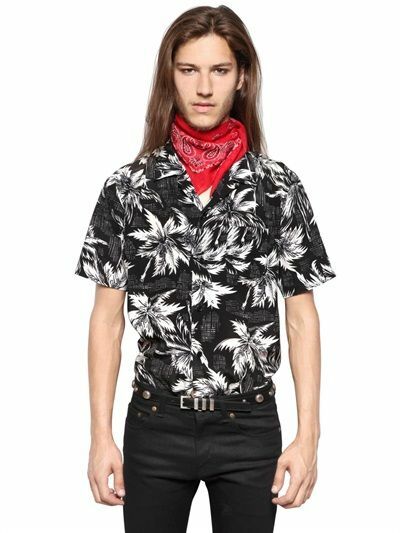 You can shop the Saint Laurent floral print shirt online from Luisa Via Roma.